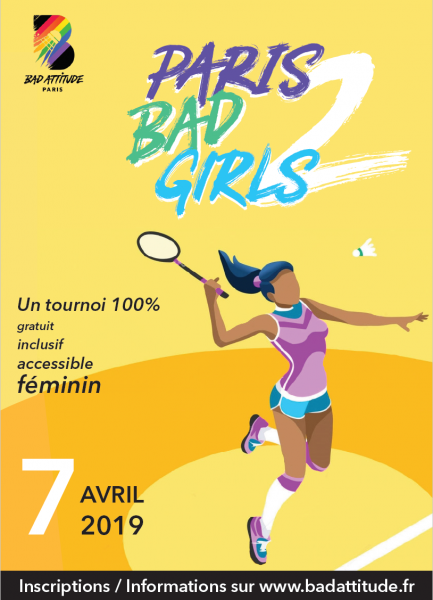 Paris Bad Girls is a 100% feminine badminton tournament organized by Bad Attitude, the youngest LBGT+ Paris badminton association. The second edition of the Paris Bad Girls will take place on Sunday April 7th in Paris. It is free and open to all level, from D (discover) to A and to all women and people that recognize themselves as women.